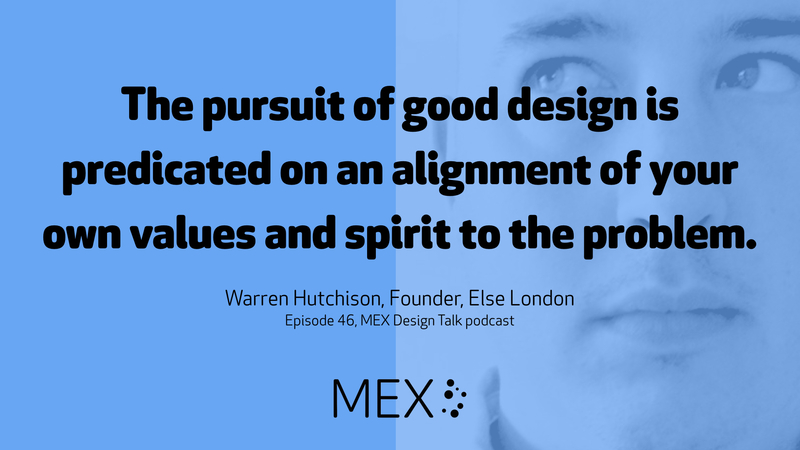 Warren Hutchison, founder of London-based agency Else, talks to Marek Pawlowski about what it means to create, grow and nurture your own design studio. The conversation ranges from Warren’s early forays into digital design in the mid-90s to working client-side for the likes of Universal Music and Yell.com. 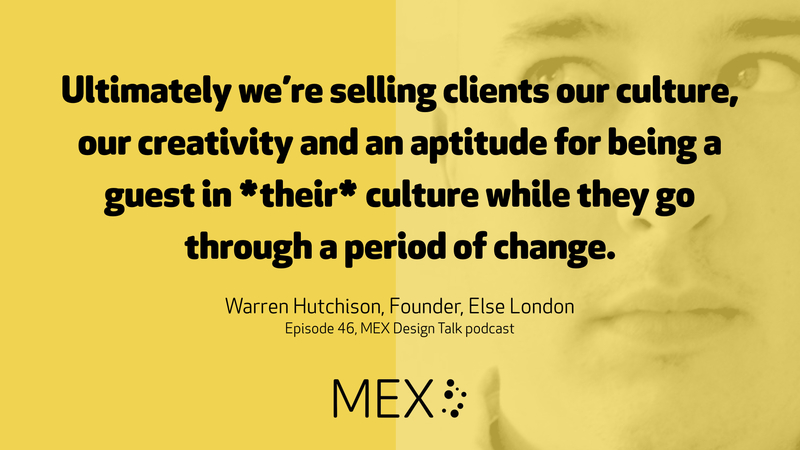 Marek and Warren get deep into the importance of attracting and retaining talented designers, the M&A landscape as design agencies are acquired by big professional services firms and how Mick Jagger can make an ideal anchor client when you’re founding a design business. Get in touch with feedback and questions @mexfeed on Twitter or email designtalk@mobileuserexperience.com. MEX Jobs Board – who’s hiring in UX, digital and design? Our next MEX dining club is in London on 25th April 2018. Get in touch if you’d like an invite – it’s a relaxed dinner talking about experience design with fellow pioneers. Mosaic browser, mentioned by Warren as an example of the 1990s web design environment when he was at university. Textpad, mentioned by Warren as an early tool for digital design work. Sun Microsystems workstations, mentioned by Warren as the computing platform for design work during his time at Brunel in the 1990s. Brunel Product Design MSc, Warren’s university course. Bauhaus Theory, mentioned by Warren as an underpinning principle of his early design philosophy. ‘Acquisitions and long-term growth strategies for design agencies’, Marek’s article on M&A activity in the sector. Case study of Else’s work on the Wefarm project, mentioned by Warren as an example of his approach. The Rolling Stones ‘Exile on Main Street’ album, mentioned by Warren as one of the anchor clients for Else. The podcast for the MEX community, interviewing UX pioneers, exploring emerging technologies, user behaviour and how to design better digital experiences. Get in touch with feedback and questions @mexfeed on Twitter or email designtalk@mobileuserexperience.com.